I live by the list. I'm the kind of gal who puts it on her to-do list to make a little purse for her to-do list so her to-do list can carry its own to-do list. The To-Do list is of course the nephew of Action Plan and the grandchild of Goal Setting. Without goals, I probably wouldn't do anything at all. Without tracking against goals, I probably wouldn't even care. So I treat my listing as seriously as a squirrel gathering nuts in fall. Since it's my 2nd Blogiversary today (hooray! ), I thought it be informational (nerdy?) and fun (like a Star Trek convention) to share my two years of writing by the numbers. All those lists of lists of lists really keep my writing life productive. Though I still have A LOT of polishing yet to do on those drafts, it's nice to take a break and celebrate what has been accomplished. But now I have to get back to work! What helps you be a productive writer? OH...bonus feature. Here's a picture of me really turning 2. My Mom let me hold the knife. You could do that in the 70s. Thanks Coleen! I think there were 3 half ideas I counted. One piece of paper just says "explore lemonade." There is a lot there, really, when you think about it. Life lessons (when life hands you lemons), entrepreneurship, the sweety-sour combination that makes lemonade so desirable - just like so many things in life. Well, you did a heckuva lot more than me these last two years. Dang! And you were also a cuter two-year-old than I ever was. 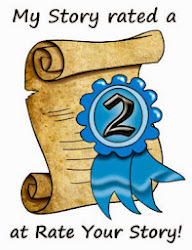 Congrats on all you have done in 2 years - and keeping track so well! Who was the person who said "I'm going to make these pears babyblue. That's gonna look amazing!" But having just looked at the disaster that is my upholstered dining room chairs, I'm thinking those vinyl chairs were very, very smart! You go, girl! Happy Blogiversary and I must say I am VERY impressed with all you have accomplished. So cute! And I love your charts. Happy Blogiversary! Thanks Catherine! Thanks for all your inspiration the past two years in picture and verse. Happy bloggiversary to you, Lauri! Love your infograph. That is a great way to reflect on your year. You are very good at keeping track of your progress. Love it! I may want to copy your idea. :) cute picture, btw. It's great that you have access to your baby pictures. I enjoy seeing them. Thank you Romelle! You've inspired me with your piktocharts- I've been meaning to try it for months now. Thanks, but Romelle makes them better. :) You have had an amazing couple of years too. Hope your book is doing well. I'm late to the party...but I'm impressed with what you've done. It deserves a heartfelt, "WOW!!" And your 2 year-old photo is just adorable!! !